The beautiful Sunset Station Depot as the backdrop of the mighty Southern Pacific 794 steam locomotive, together making a wonderful medal. 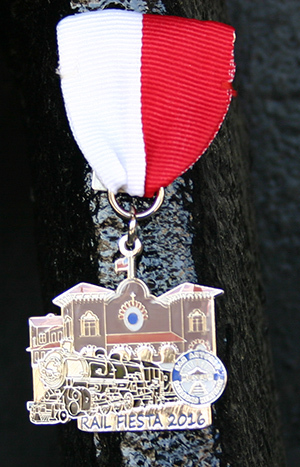 We only have a few of these uniquely designed Rail Fiesta Medals left. Hurry before they are all gone.